SPIDER-MAN: LIFE STORY is a perfectly remastered and consolidated history lesson for both longtime fans and newcomers. To celebrate Marvel’s 80th anniversary, we get ourselves a retelling of Spider-Man’s history. 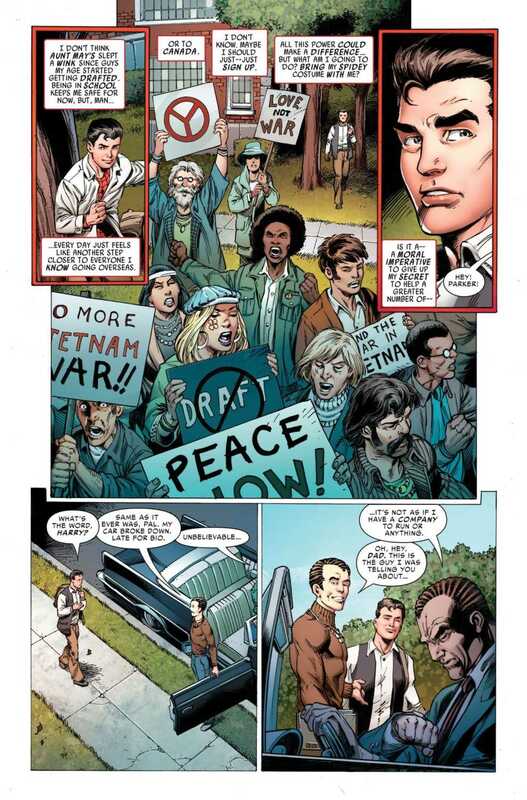 SPIDER-MAN: LIFE STORY #1 takes us back to a number of key moments from the 60s. Writer Chip Zdarsky and Spidey veteran artist Mark Bagley team-up for a history lesson unlike Ed Piskor’s X-Men: Grand Design. Instead of a straight up history lesson, timeline come to life, Spider-Man: Life Story is an actual focused story. Zdarsky revisits some of the themes that get lost when referring to the early days of Peter Parker. The Vietnam War was obviously a major talking point in all of entertainment and comics were no different. With comic book continuities constantly being realigned to justify the character’s lack of aging, it’s refreshing to take a look back at what was actually going on in 1962. Peter’s conflict with his own responsibility being a super hero during war time, Captain America’s duty to serve, and Flash Thompson’s deployment all paint a pretty chaotic picture. Not to mention having one of the most pivotal moments with your arch enemy take place amid all this distraction. Norman Osborn is one of the all-time greatest comic book villains. This story is a perfect example of why. The scene in the bar with Peter and Norman is drenched in heavy tension no matter how familiar you are with Spider-Man history. Chip Zdarsky does a spectacular job telling a cohesive story that connects a handful of major moments. Spider-Man: Life Story presents readers with the opportunity to not only brush up on the web-slinger’s history, but also look at that place in time with a new perspective. Chip accomplishes a lot without boring us to death even a little bit. 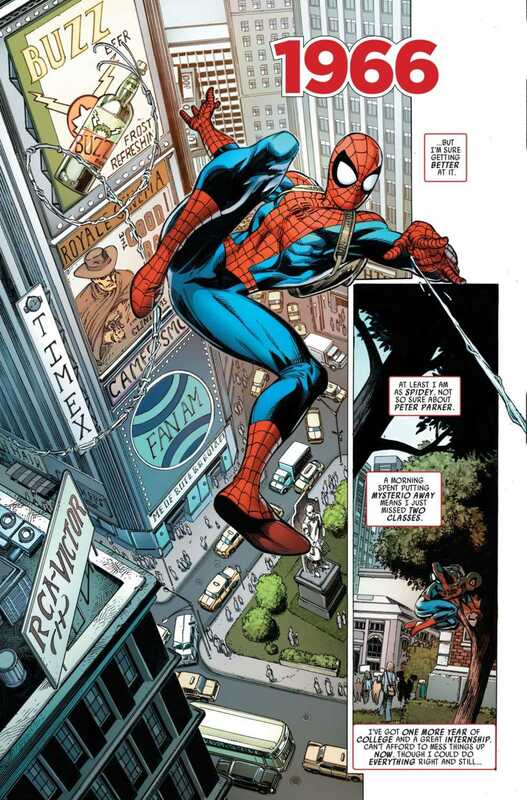 Veteran Spider-Man artist Mark Bagley delivers some of his best web-head work in years. Outside of a few awkward faces and hands, he calls back to the early days of Steve Ditko with a modern spin. Inker John Dell and colorist Frank D’Armata give this issue an extra layer of classic Spidey. 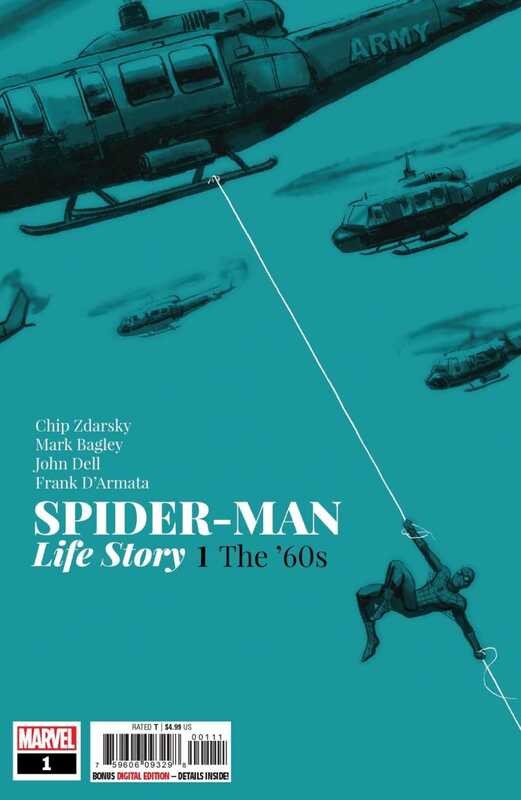 Spider-Man: Life Story is a wonderful read for longtime Spidey fans and newer readers who want to brush up on their history. This is an easily digestible fast track to catching up on some of the more crucial moments in Spider-Man’s incredibly long continuity. If you’re someone who struggles getting through those golden age comics, Chip Zdarsky has perfectly remastered and consolidated essential reading for any Spider-Man fan.